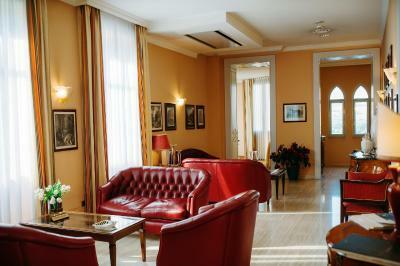 Lock in a great price for Hotel Villa Traiano – rated 8.5 by recent guests! 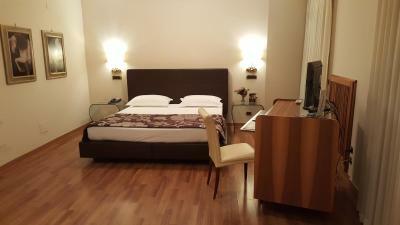 This was a very comfortable hotel in an ideal location across from the Trajan Arch. The breakfast was worth the extra money and kept us filled through the day. Benevento turned out to be a very nice surprise. rooms offered were spacious but with either very small circular windows (like a submarine), or a view of the roof of a tent awning. 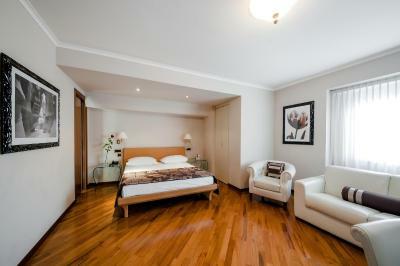 Opted for a smaller and older, worn room with a nice window and light but at the same price as the larger rooms. 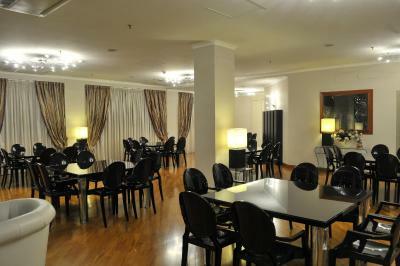 The hotel is very stylish and well appointed. 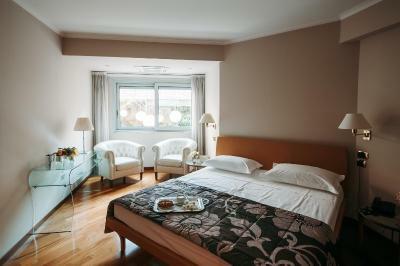 The rooms were comfortable, clean, and well fitted out. 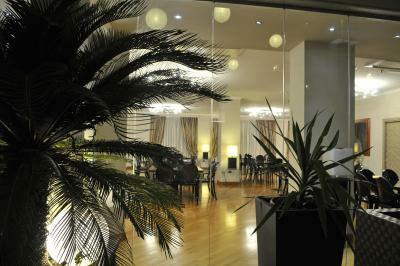 The staff was exceptionally friendly and accommodating. 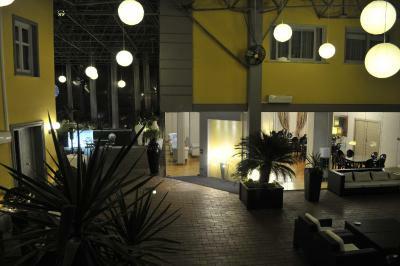 Hotel was fine...Benevento was a way station for us on the way to Puglia. Location was perfect for this purpose. We had luggage for a 12 day trip and the room was tiny...no place to put anything and access our suitcases. Hotel very difficult to locate with gps. The parking was around the back and sort of creepy, but plenty of room and no charge. People were helpful. Breakfast was lovely. 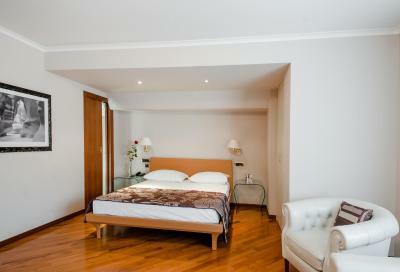 Lovely and comfortable and centrally located to the beautiful historic core of Benevento. A perfect stay, rainy and gorgeous. Breakfast under chandeliers in the rain was charming and delicious. The staff was kind and attentive. 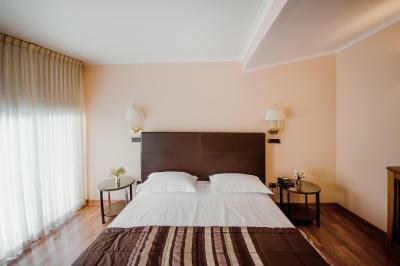 The staff was very friendly and the hotel was very clean. Breakfast was excellent as well. 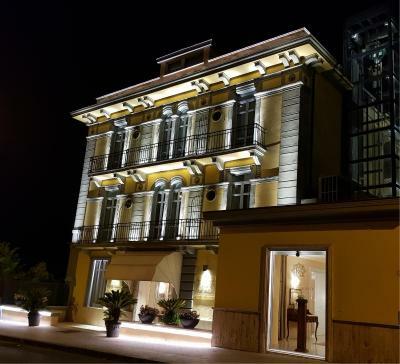 Would recommend staying here when in Benevento. Breakfast was very good with fresh fruits and pastries. 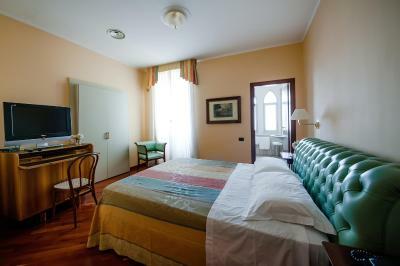 Very conveniently located in front of the Arco di Traiano and the major attractions. Private parking is free. This hotel is an unexpected jewel. 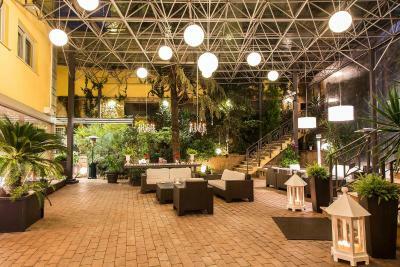 It is a small hotel, beautiful. 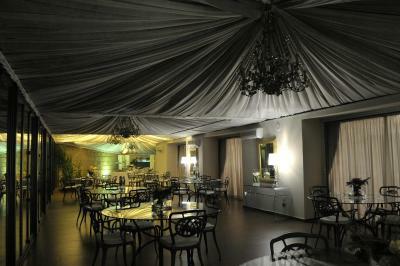 The staff and the atmosphere was lovely. 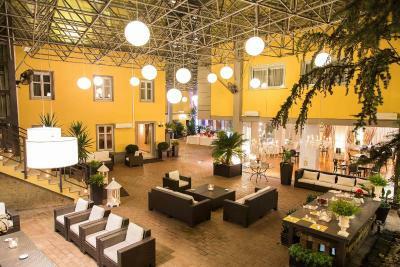 They have a beautiful atrium in the middle of the hotel with gorgeous landscaping and birds chirping. 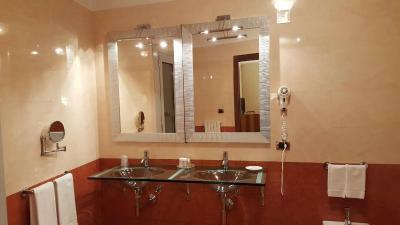 Our room was contemporary and very nicely done with a beautiful bathroom also. 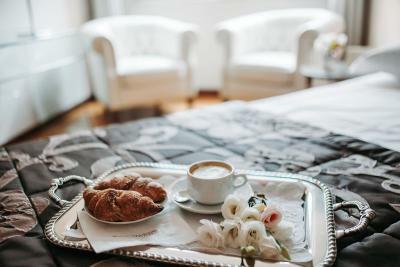 Breakfast is buffet style in typical European fashion, but in a lovely room off the atrium with fabric draped ceilings, chandeliers, silver and linens. This would be a perfect place to hold a wedding; just beautiful and completely unexpected. Fantastic reception desk assistance! Delightful lady. 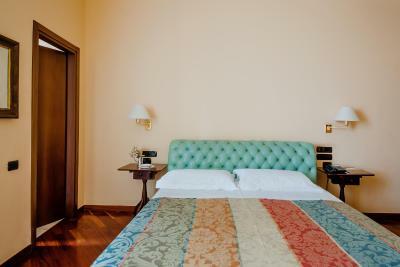 Hotel Villa Traiano This rating is a reflection of how the property compares to the industry standard when it comes to price, facilities and services available. It's based on a self-evaluation by the property. Use this rating to help choose your stay! 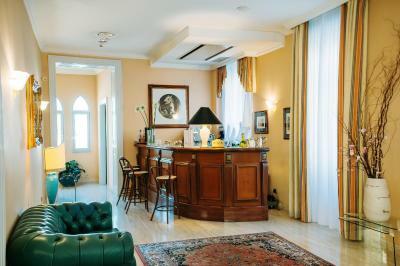 One of our top picks in Benevento.Just 150 feet from Trajan's archway in Benevento, Hotel Traiano is an elegant, early 20th-century villa with its own gardens. 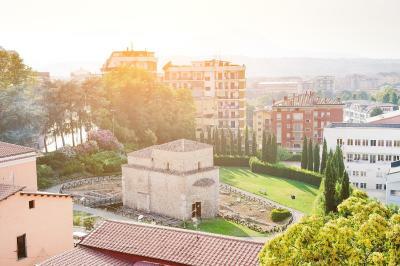 The hotel's roof garden offers panoramic views. 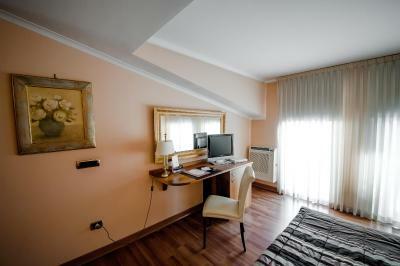 Rooms at Hotel Villa Traiano are spacious, well-decorated and modern. 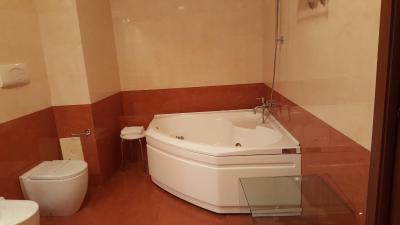 Some rooms come with 42-inch LCD satellite TV, Poltrona Frau furnishings, and a hydromassage bath. 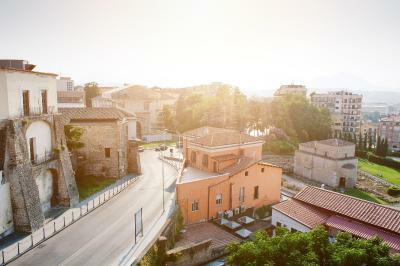 The Villa faces the ancient city walls and is only a short walk into the center of the old town. Benevento Train Station is 2,300 feet away. 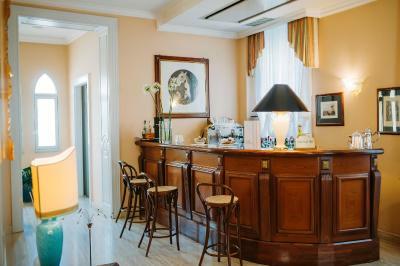 The hotel is complete with an elegant lounge, with wine bar and tea room. 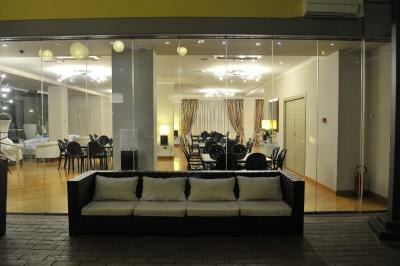 Continental breakfast is served in the air-conditioned veranda and includes local specialties and homemade cakes. 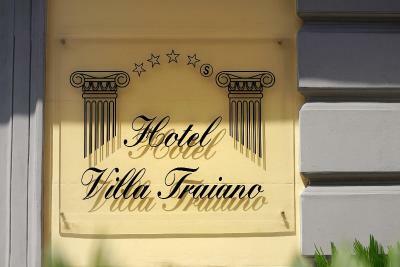 When would you like to stay at Hotel Villa Traiano? 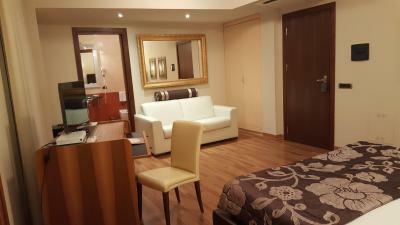 Large, elegant room with garden view, seating area and 42-inch LCD TV. Most with hydromassage bath. Some with views of Arco di Traiano. 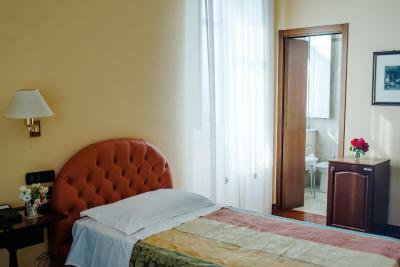 This single room has a soundproofing, air conditioning and satellite TV. 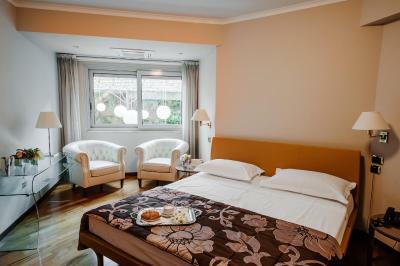 This double room features air conditioning, mini-bar and hot tub. 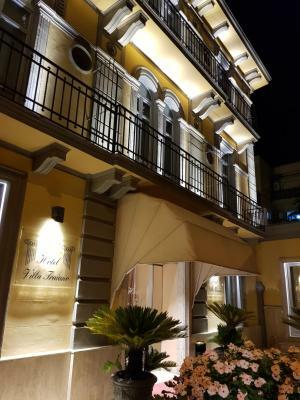 Hotel Villa Traiano is a prestigious hotel located in the historical center of Benevento, created from the refurbishment and extension of a historical villa from the early 1900s, just a short walk from the Arch of Trajan. 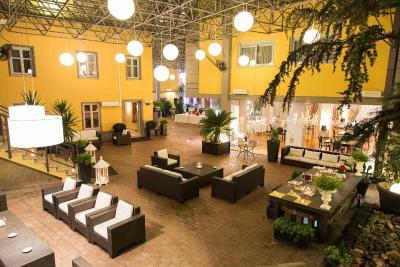 The villa is enclosed by an immense glass ceiling that conceals the unimaginably beautiful covered, air-conditioned garden with ample space where each guest can find a private corner, and enjoy discreet and effective comfort. House Rules Hotel Villa Traiano takes special requests – add in the next step! 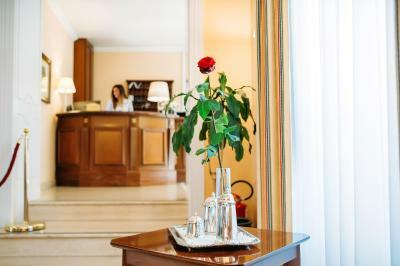 ATM card Hotel Villa Traiano accepts these cards and reserves the right to temporarily hold an amount prior to arrival. 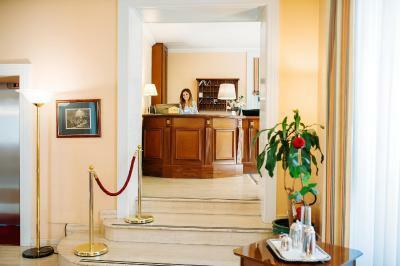 Hotel Villa Traiano accepts these cards and reserves the right to temporarily hold an amount prior to arrival. 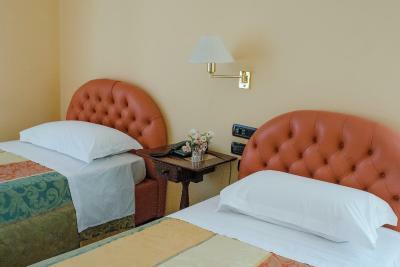 Guests who have booked a non refundable room are required to leave all the necessary information for the invoice. The shower has definitely seen better days! - the staff is fantastic ! 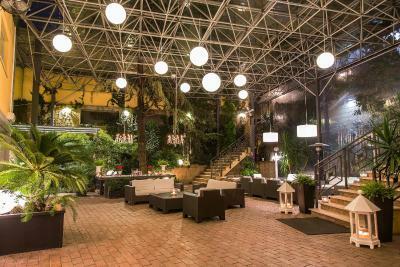 - the receptionist found a secure place outside for our transport (hé was to big for the garage) - the situation of the hotel - the covered terrace is wonderfull ! Rear staircase of the hotel has grubby carpets and hadn’t been cleaned. It would benefit from new carpets in corridors / staircases. The shower in room 711 didn’t work. We arrived in the evening and ask for an iron to prepare for the following day, the hotel receptionist said they had no iron on site...nor could they offer an ironing service. We were sadly in Benevento for a family funeral and asked if it would be possible to have a coffee and croissant at 7.15am due to the time we need to be at the church (breakfast starts at 7.30am) and the reception said sorry they couldn’t provide a croissant for that time - not what you would except of a 4star hotel. 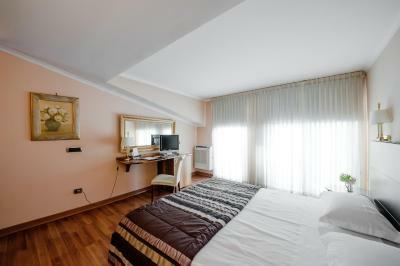 Great location in Benevento with parking. Tiny shower with a shower curtain which is never good! Breakfast not taken as expensive. 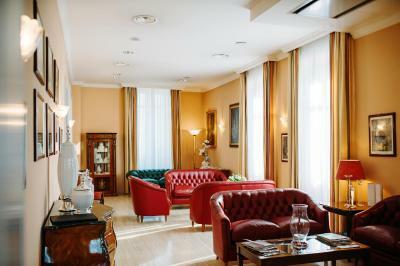 Very welcoming and helpful staff, parking useful, very comfortable bed. 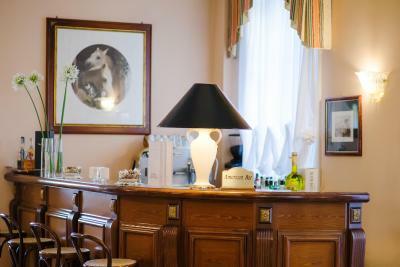 Very comfortable modernised but traditional hotel, perfect for a short stay. 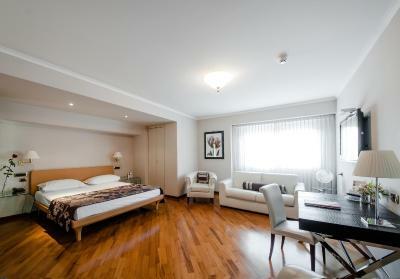 The room was immaculately clean. Parking lot was full and i had to leave my car in the street. But the receptionist was kind to park it in front of the hotel where is allowed during the night. The room was a bit rundown. We had a very small shower in and old fashioned bathroom, the ventilation was very loud. The balcony had not been cleaned, there were full ash trashes . The buffet at the breakfast was a bit chaotic. 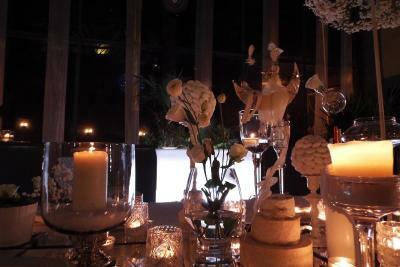 There were no tables for two persons, only big round tables for 6 or more. The hotel is very close to the old town and they have their own parking garage. It is a bit narrow to get in and out. Great location and property was impressive.